Couldn't make Katie and Kristin's webinar? Or wish those 60 minutes hadn't gone by so fast? No problem! We recorded it so that everyone has a chance to watch or re-watch any time. 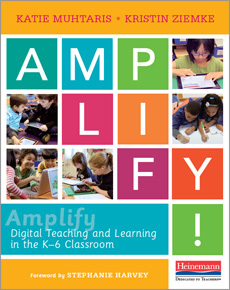 Don't forget to use #AmplifyED to discuss what you see with the Twitter teaching community and with @KatieMuhtaris and @KristinZiemke.